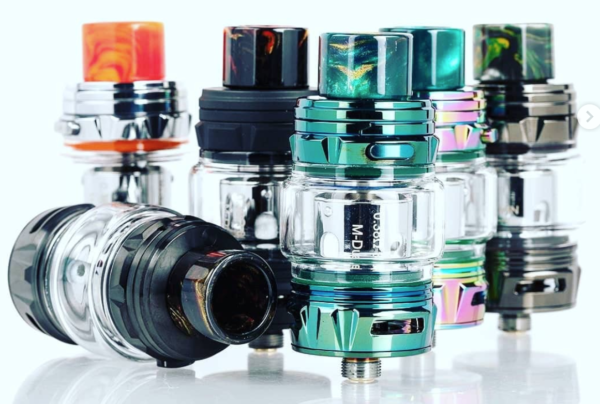 Falcon King Tank vs Falcon Tank – What’s The Difference? I love the original Falcon tank. It kicked out some of the best flavor I had ever experienced from a sub ohm tank. But it did leak sometimes. And that sucked. The Falcon King does not leak – and the flavor is even better. For this reason, I’d 100% go with the Falcon King over the original Falcon. The main reason for this is that the flavor is better and it does not leak, thanks to its new refilling system which fixes the ONLY issue I had with the Falcon. Beyond this, you get a fantastic looking tank that delivers some of the best flavor around, thanks to its expertly engineered mesh coil heads. Competition is stiff right now in the sub ohm tank space, but the Falcon King is still the best option right now by quite a margin. HorizenTech has fixed the only issue (leaking) that affected the original Falcon tank. 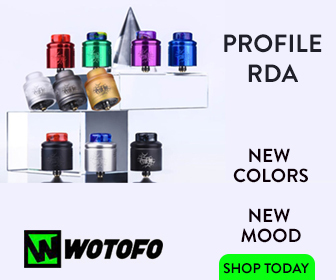 It has reworked the design, making it more attractive and easier to use, and has managed to keep the thing that made the original so popular – RDA-grade flavor. 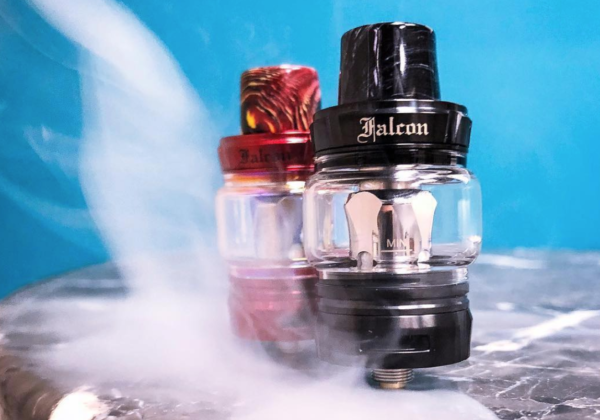 For this reason, the Falcon King is easily the #1 vape tank for 2019. And I don’t see anything changing this for a good long while. 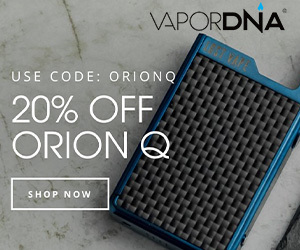 And for the price – $34.95 with FREE SHIPPING – the Falcon King is also very competitively priced too. There was nothing wrong with the design and look of the original Falcon tank. It looked great and it performed brilliantly. The flavor was the main event, however, is akin to what you get from an RDA. This is why the tank was so popular – RDA flavor on a sub ohm tank was a game-changer for the space. It did have a habit of leaking, and this was an issue. Thankfully, with the Falcon King and its redesigned chassis, HorizonTech has fixed this issue. It now looks better, physically, and it doesn’t leak. Plus you still get that same RDA-grade flavor. The Falcon King measures 24mm at its base, so it will sit pretty on pretty much any style of vape mod. 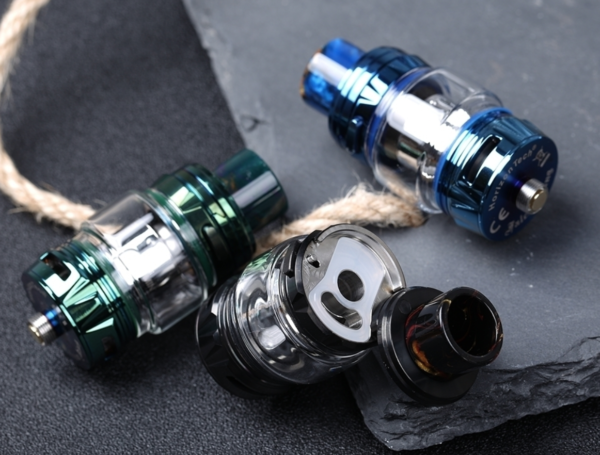 Airflow control remains at the base of the tank, and you have up to 6ml E Juice capacity with the included bubble glass. Don’t want bubble glass? No problem, just swap it out for the 4ml standard glass. The new top-fill mechanism has been completely redesigned. It now has a button that you push to open it. 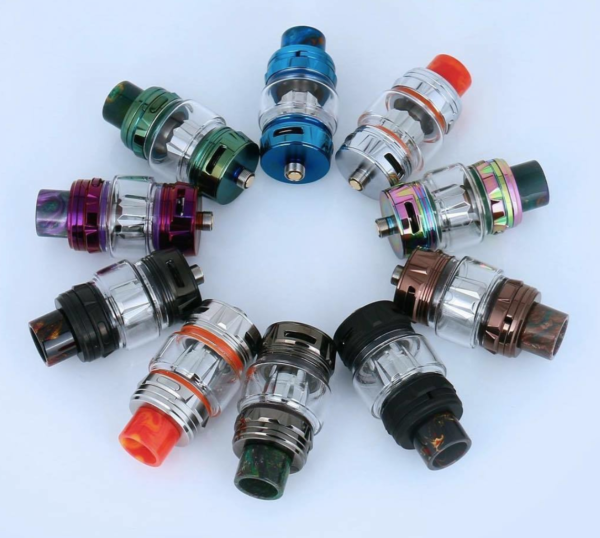 This new system has also rid the tank of any leaking issues – it is now 100% leak-proof, as a sub ohm tank should be. The entire tank is made from stainless steel too, so it looks and feels exceptionally premium. The Falcon King will run the same coils as the Falcon, so you can still use the first-generation coil heads too. But the new ones are definitely what you want to be using. Why’s that? Simple: they’re designed to last longer and deliver more flavor. The secret behind how these coils deliver so much flavor, according to HorizenTech, is the bamboo fiber wicking material used inside them. And make no mistake: the flavor these new coil heads produce is INSANE. I didn’t think HorizenTech could top the original coil heads, but it has – in a big way. The new M1 and M Dual Coil are exceptional for flavor – easily the two best coil heads on the market right now. In order to get the absolute best from the new coil heads, you need to break them in properly. Doing this will ensure you get maximum performance from them. It will also ensure they last a long time too. If you do this religiously with all your new coil head installs, you’ll get weeks of vaping from each coil head. And that is very impressive. If you’re after HUGE flavor, the Falcon King is really the only vape tank you should be looking at. The original Falcon Tank was exceptional, but the newer model surpasses it for overall flavor production. And that is kind of crazy. I mean, the Falcon was insanely good! I think a lot of this is down to its new coil heads, which are superb. The wicking material makes a big difference, both to flavor and coil head longevity, bringing masses of flavor and a boat-load of performance. I honestly cannot think of a more accomplished vape tank than the Falcon King right now. Is it better than an RDA? Not really. I mean, RDAs are basically the gold standard when it comes to flavor. And each RDA is different. But the Falcon King definitely delivers flavor that is very close to what you get from a top-flight RDA tank. And for a sub ohm tank with coil heads, this is an incredibly impressive feat. And that’s basically all you need to know when you’re talking about the major differences between the Falcon tank and the Falcon King. HorizenTech has basically fixed all the issues associated with the original and has somehow managed to deliver EVEN more flavor. The Falcon King is also really well priced too; you can pick it up for $34.95 via DirectVapor (with FREE Shipping).